By 2020 – a mere three years from now – research has projected there will be more than 20 billion connected devices on the planet. That’s an average of roughly four per person, ranging from tablets to eyeglasses and houses to cars. The Internet of Things is expected to transform everyday life as we know it in areas ranging from home comfort to health care. In the purely enterprise space, Cisco’s recent IoT study of IT executives and business decision makers showed that 95 percent of executives surveyed planned to launch an IoT business within the next three years. Seventy-three percent say they already are using the IoT to improve their businesses. But as with many of life’s innovation and rewards, there also are risks, as more connected devices mean more entry points for would-be hackers and cyber criminals. This, according to researchers, has given the public some pause on the IoT. Various analysts from Pew to Gartner have tracked consumer worries that might prevent them from purchasing connected devices. A 2016 Accenture Consulting survey revealed that growth in connected devices has been a bit slower than expected due to a perceived lack of value and confusion over competing and incompatible standards that govern the IoT. Additionally, 47 percent of those surveyed cited privacy and security concerns as the reason for not buying more IoT products. Manufacturers would be wise to address this public perception problem. Security aside, there is the amount of data that IoT devices are likely to generate, creating storage capacity and privacy concerns too. A Federal Trade Commission report revealed that fewer than 10,000 households can generate 150 million discrete data points in a day. Sensitive information might be vulnerable. On top of that, people worry that the data collected could be used against them, as in calculating car or health insurance, or worse, that manufacturers or hackers could violate the inner sanctum of their homes, knowing what bread they buy at the grocery store or what late-night TV shows they prefer. 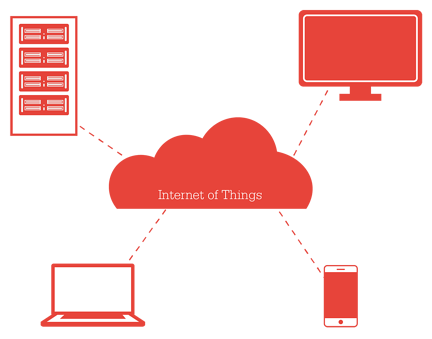 Analysts argue the IoT is coming, and it will come with its own set of data storage concerns. In the meantime, enterprise and government organizations can safeguard their workstation and laptop data with a CRU removable drive. Removable drives make it easy to disconnect data from prying eyes, as well as simplify and accelerating data transfer. This entry was posted in Data Backup, Removeable Drive, General, Data Security by CRU. Bookmark the permalink.